Handy enough for the foreman and gentle enough for the dudes, with both on his resume! 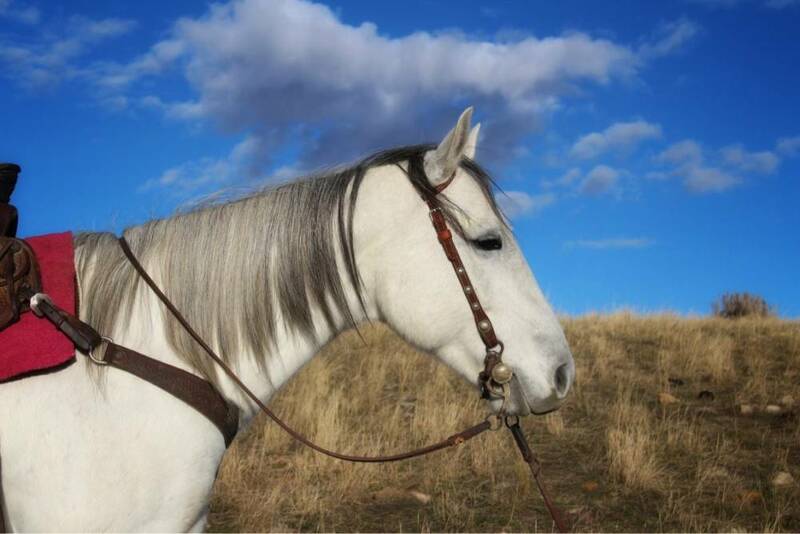 Swifty is a beautiful gray gelding with a silver mane and tail and kind eye. He is quiet and calm with no buck, rear or kick. Stands tied quietly. 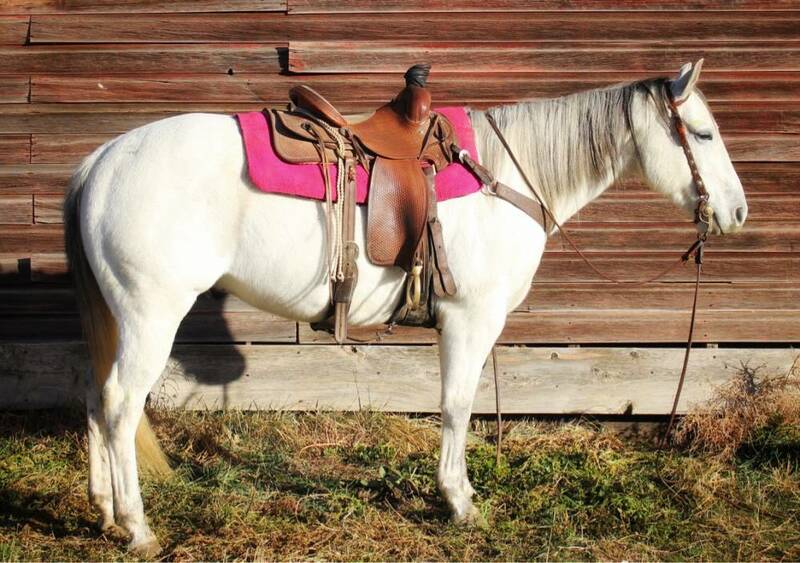 We haven't found much this nice gelding isn't game for. Here on the ranch we have used him to gather and sort cattle and horses and he is one of the rare ones that will let a big group of horses leave him and not get silly about it. Even more remarkable; when you need to you can really turn him on to get a job done and immediately he will settle back down to a flat footed walk. 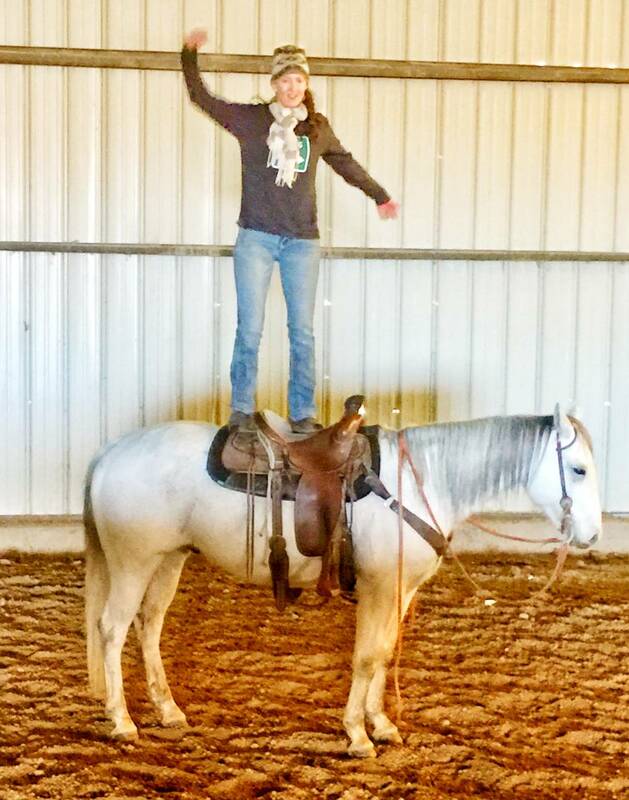 He will lope a barrel pattern and, just for fun, we have taken him over a jump or two. 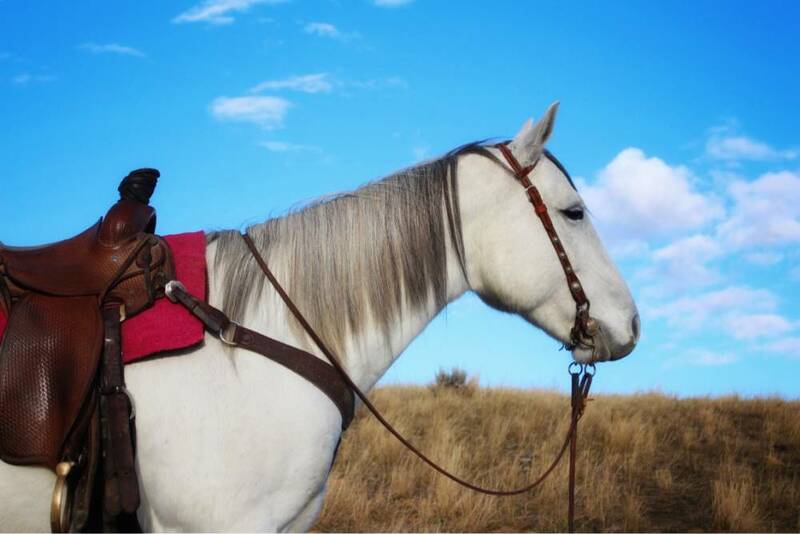 Whatever you want to do horseback, he is game for. Swifty spent last summer packing dudes up and down the trail and their outfit loved him! Never a bobble and took every level of rider in stride. 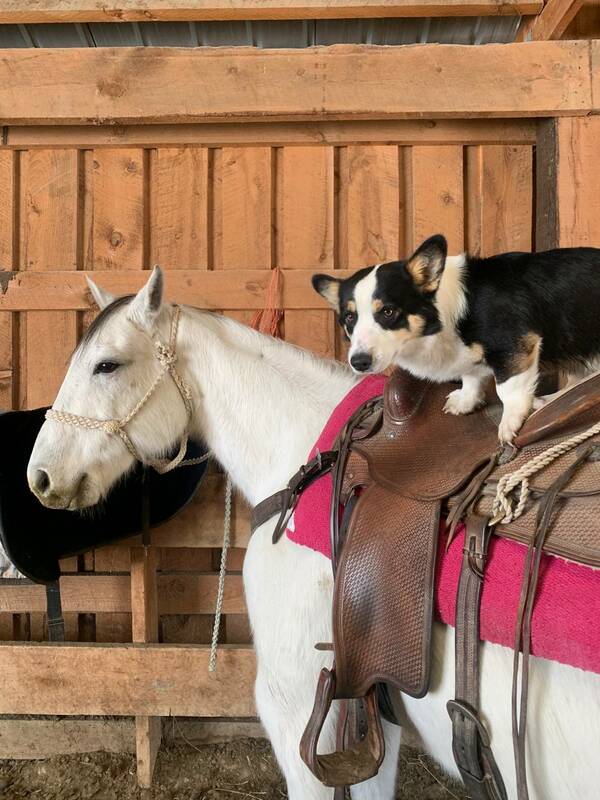 For someone who knows how to work the controls he will roll over his hocks, sidepass, flex, pick up both leads and carry himself like a prince. Crosses water, logs and rough country all in stride. 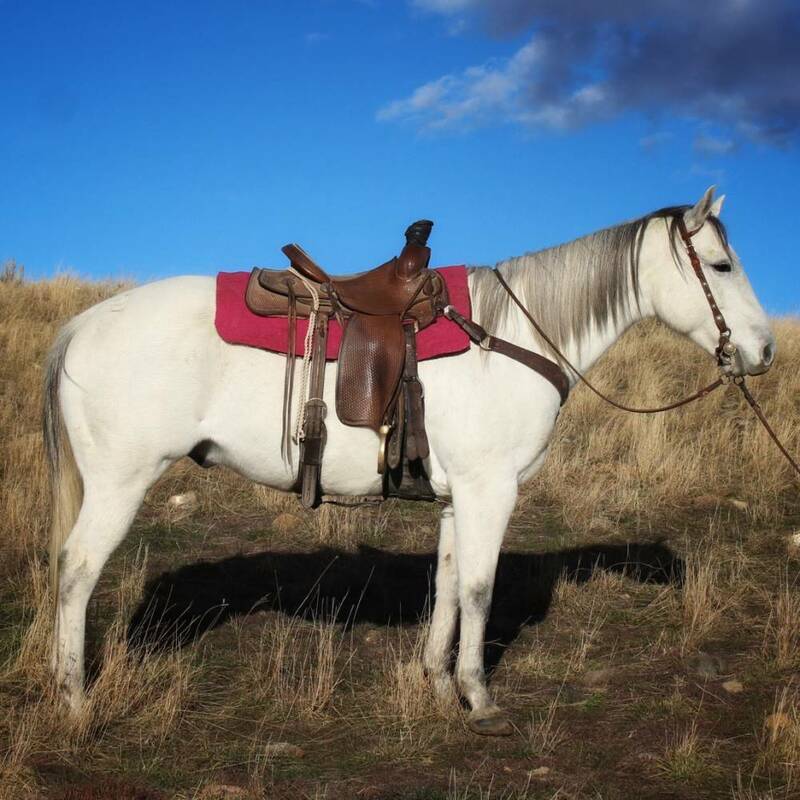 Stands 15 hh and weighs approximately 1150 with really good bone and foot. UTD on farrier, worming and dental. 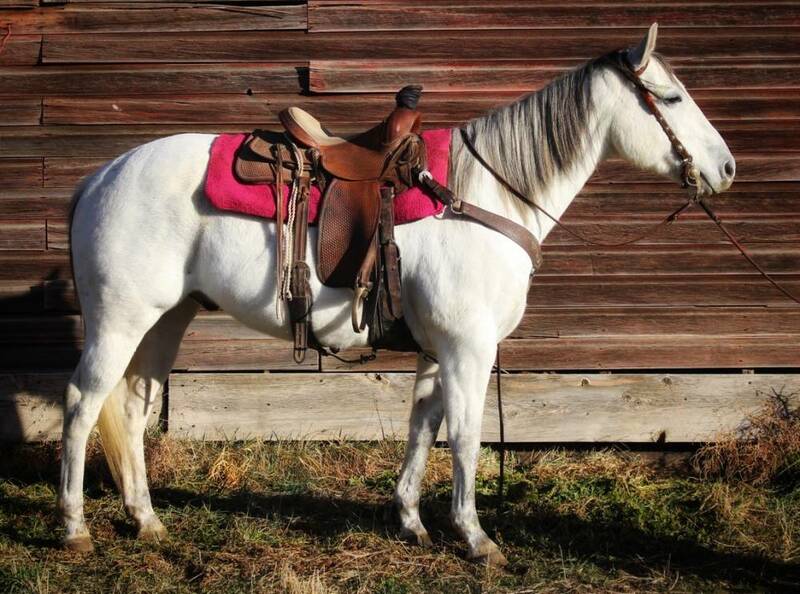 We have really enjoyed having this gelding on our outfit and am sure you will too! Come give him a try and see what we mean.